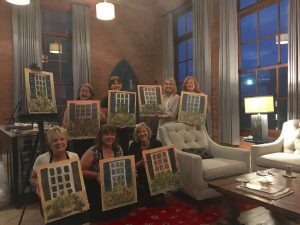 I did my first Mobile Painting Party, where I packed up all the materials and traveled to a client location where they could painting and party in comfort. It worked out so well, I am now making that option available to others. My painting party experiences are fun, instructive and they actually result in really awesome, entirely framable art. Talk to me about arranging a mobile Painting Party at your next gathering. 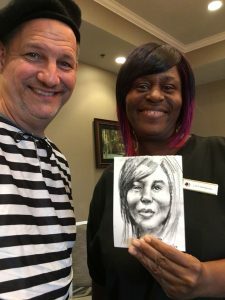 Also, I recently did a quick sketch gig for the housekeeping staff of a local hotel, who were gifted this incredible opportunity to celebrate their hard work by an appreciative hotel administration. It was a lot of fun and we produced some very amazing sketches. 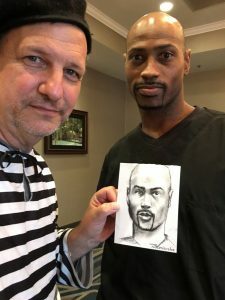 Let me know if you’d like to thank your staff with a bunch of Quick Sketches. People love these. Maurice Stockton liked this on Facebook. Nick Smith liked this on Facebook. Robert Kuhr liked this on Facebook. Cessily Wotring Thalacker liked this on Facebook.